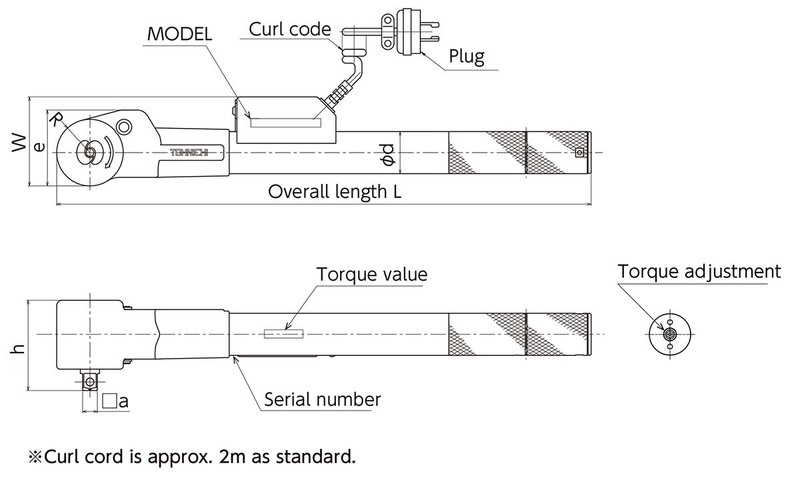 QSPCAMS and QSPCALS are rotary slip-type torque wrenches with wired limit switch. When set toque is reached, rotary slip occurs with simultaneous output of a contact signal from the limit switch. QSPCAMS and QSPCALS have a highly durable curly cord. A limit switch can be connected to a CNA-4mk3 count checker (sold separately) to easily create a tightening count management system. Signals from the limit switch are captured on a programmable logic controller (PLC) or similar device to establish a Tightening Assurance System using assembly line interlock controls. With the QSPCAFHP and QSPCAFH, when set torque is reached, rotary slip occurs and a tightened-to-completion radio signal is transmitted. The system is cordless, greatly increasing workability. 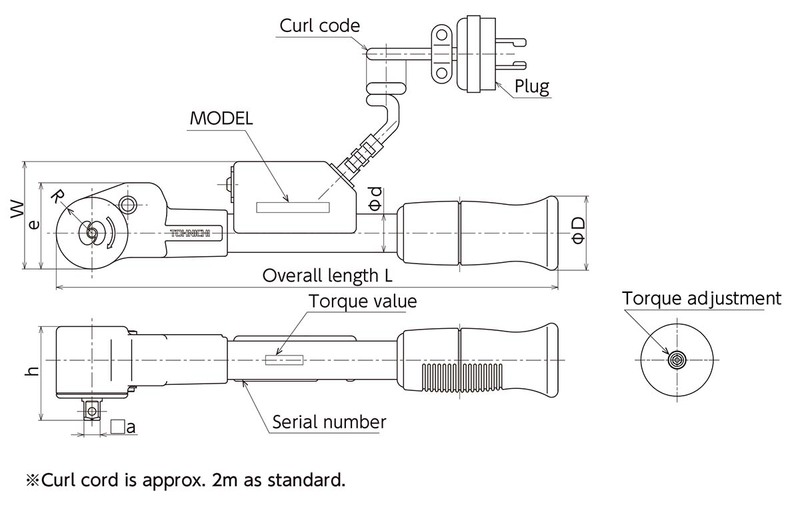 QSPCAFHP and QSPCAFH torque wrenches can be used with the R-FH256 receiver (which is sold separately). 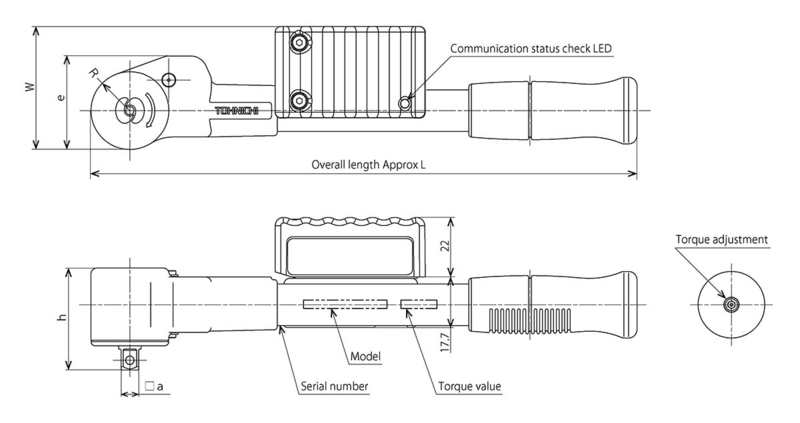 With a connection to the I/O-FH256 multi-box (sold separately), a single receiver can recognize the IDs of up to four torque wrenches. Connect the I/O-FH256 and the CNA-4mk3 Count Checker to easily establish an error proofing system. The QSPCAMS / QSPCALS / QSPCAFHP / QSPCAFH conform to the IEC 61340-5-1:2007 Standard (protection of electronic devices from electrostatic phenomena). QSPCAMS / QSPCALS limit switch ratings: AC30V below 1A, DC30V below 1A. Female connector is not supplied for MS/LS cord. QSPCAFHP, QSPCAFH and R-FH256 receivers and the SB-FH256 setting controller can be used in Japan, the U.S., Canada, the EU, China, Malaysia, Indonesia, India, Thailand, South Africa, South Korea, Russia, Taiwan, Mexico and Vietnam.